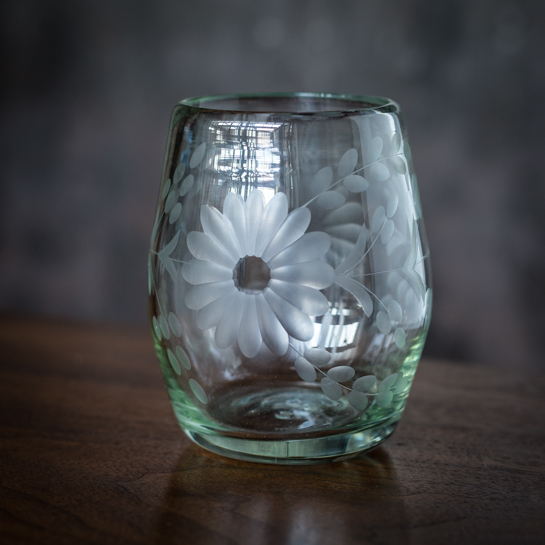 Available in two styles: Clear Barrel Glass and Turquoise Stemless Glass. The perfect glasses for margaritas, sparkling water or anything else you fancy. They're made by hand in San Miguel, Mexico, so each one is unique and the dimensions may vary slightly. Hand wash recommended. Not for microwave use or hot liquids.